How do our brains allow us to smile and breathe? 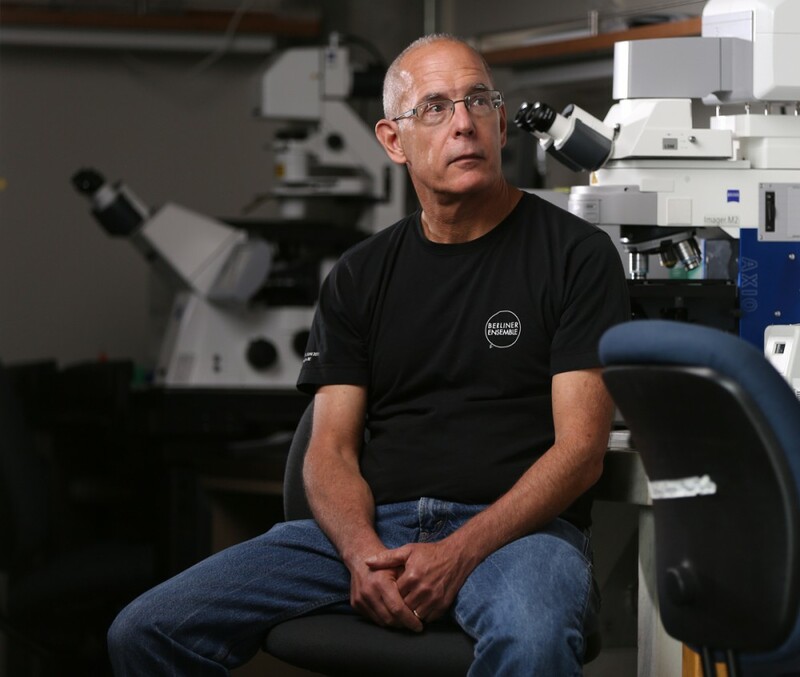 University of Oregon scientists have identified an important network of neurons in the nerve cords of live fruit fly larvae that plays a vital role and is similar in most organisms, including humans. Their discovery provides fundamental insights into networks of interneurons — those in the nerve cord that operate subconsciously — to carry out essential motor and sensory duties. Understanding the mechanics behind the networking, they said, eventually may lead to specially directed stem cells to treat motor-system disorders such as amyotrophic lateral sclerosis (Lou Gehrig's disease) and to the construction of robotic devices that compensate rapidly to changes in terrain. Using neuronal recording techniques, the researchers watched what happened in live fruit fly larvae as they crawled after using temperature pulses to activate or deactivate various neurons. "If you break a link in this circuitry, the larvae cannot stay the course," said Chris Doe, a professor of biology and a Howard Hughes Medical Institute Investigator. "They list to one side or the other, or tip over." "We let the animal tell us what neurons are important for movement," said Ellie S. Heckscher, a professor in the Department of Molecular Genetics and Cell Biology at the University of Chicago. She led the project while a postdoctoral fellow at the UO. "At random we went in disrupted neuronal function, and then looked at how the animal behaved." Transmission electron microscopy allowed the observation of thousands of neurons and their synaptic connections. "You can get a comprehensive view of how everything fits together. We see the whole central nervous system," Heckscher said. She likens the discovery to understanding how turning a steering wheel changes a car's direction. The research opens the hood, allowing one to map the networking from the steering wheel to the turning tires. The specific motor and sensory neurons involved in Drosophila larvae are evolutionarily conserved in nature, possibly coming from the proposed common ancestor between invertebrates and vertebrates. The larvae provide a simplified system for such studies while serving a model for the human nervous system. In previous work, Heckscher found that larvae crawl in a simple but robust way with rhythmic waves of muscle contractions occurring simultaneously on each side of the body. The new findings looked deeper, focusing on a network involving five layers of paired neurons representing both sides of the organism and providing, perhaps, the most detailed picture of such a vital neuronal network, Doe said. "People have studied for a long time how walking is done with alternating gaits," said Doe, who is affiliated with the UO's Institute of Molecular Biology and Institute of Neuroscience. "We know a lot about motor, sensory and other interneurons and that circuitry. "However, we haven't known much about how movements that need bilaterally synchronous muscle contractions are coordinated, such as breathing in humans, hopping for rabbits or kangaroos and flying for birds," he said. "This circuitry has been like the dark side of the moon. If someone told you that you could never do the breaststroke or hopscotch again, you'd probably be fine with it. But if your breathing is not symmetrical, you would just die." Heckscher's continuing research at the University of Chicago is looking at this network in more detail. Doe, at the UO, is pursuing other circuits that control different aspects of locomotion. The National Institutes of Health, American Heart Association, Howard Hughes Medical Institute and Wellcome Trust supported the research.